I hear it all the time. "Oh Betty, you're so pretty and smart. I'll bet you were a cool kid. I'll bet you had more segments on your book worm in Mrs. Shockley's 3rd grade class than anyone else." Well, yes, it's true. And I would like to take this opportunity to apologize to that certain classmate whose anemic worm was covered up by my colorful, robust, ever-growing worm. Sorry about that, but let's face it: I needed the room and you, apparently, did not. Hope things are going OK in Attica. I hear New York is real nice. Back to my thesis: Reading shaped my life and it can shape yours too. Growing up on the farm, fed on a steady diet of library books of Laura Ingalls Wilder and Beverly Cleary, was it any wonder that Betty, upon finding the section in the Reader's Digest entitled "Drama in Real Life" would develop a taste for the vivid, for the sensational? Sitting on my bed, sipping strawberry Kool-Aid and eating graham crackers, I read about the exhausted, broken farmer at the bottom of the well, pleading for help as the water rises above his ears. The mother in the burning house searches in vain for her infant daughter. Oh yes, those were happy times for me. I had found the drama, the excitement that my everyday life on the farm lacked. Looking back, I can see those hair-raising stories ignited a spark within me that burns to this day and makes me one dangerous gal. I have been known to drive extra miles while the "low fuel" indicator glows on my dashboard. A sale on extra hot salsa at Albertsons this week? I buy three bottles Sometimes, I take the bun off my veggie burger and eat just the patty. "Damn! I never understood all that mumbo-jumbo that Homer wrote, but since this guy Chapman wrote it in language even I can understand, I finally get it! Wow! I feel great! I feel like that lady on the infomercial who finally understands how to make quick and easy potato slices with her Slice-O-Matic after years of using a dull, unwieldy knife! No! No! I feel like the guy on the sunglasses commercial whose new Blue Ray Shades cut through all distortion AND provide extraordinary UV protection Where have these babies been all my life?" Though I had been an avid reader for years, it was only when the Reader's Digest began publishing segments of "I Am Joe's Body" that I felt the epiphany that comes through reading great literature of which Keats speaks. While this series ran, every issue featured a different part of Joe's body, speaking in first person narration. This was the ultimate in Drama in Real Life! After reading the first entry, I knew that never again would I be content to hear about a body part in third person. No, now that I had heard, felt, and experienced Joe's bladder speaking directly to me, I knew I could never go back to secondary sources. This written series came into my life after a firm foundation set in darkened grade school classrooms of the Walter Cronkite "You Are There" films, in which the modern day reporter goes back to interview, say, Julius Caesar or George Washington. These films, combined with my previous experience with the"Drama in Real Life" series AND now this series of talking body parts blended together like the potent ingredients of a Dairy Queen Blizzard to create in me the chilling belief that these were not just articles in a magazine. Joe's spine, his eyetooth, his testis, his adrenal gland, thyroid, his pancreas, these chatty body parts were seeking ME out and they could only do it through this "cover" of public magazine. In my mind, Joe's kidney and I escaped to an outdoor cafe in Paris, where we sat across from each other sipping tea. The kidney sat back, took a long drag on a cigarette and sighed, "I do so many things for Joe that the doctors still don't have a complete catalogue of my activities." I shivered there on the dark street corner in New Jersey where I met Joe's ominous adrenal gland who whispered, "Gram for gram, I pack more dynamite than any other organ in Joe's body. I can cripple him, sicken him, send him to the madhouse, kill him." After walking up the creaky steps of the old building I sat in the cramped apartment of Joe's stomach, nodding sympathetically as it sat on a ragged couch and lamented, "I am afraid I am not a very inspiring sight." These articles were eventually combined into the book, I Am Joe's Body. Now I don't mean to alarm you (unlike Joe's prostate who menacingly growled from his penthouse office overlooking the city, "Red-brown, about the size of an English walnut, I produce a variety of grief") but this book is now out of print. That's right. Just as an original Gutenberg Bible is tough to get these days, the book I Am Joe's Body is going the same route. That is why I am here to alert you to get your copy NOW while there are still some out there. Run, do not walk, to your nearest used book store and purchase all copies that you can. Be cool. 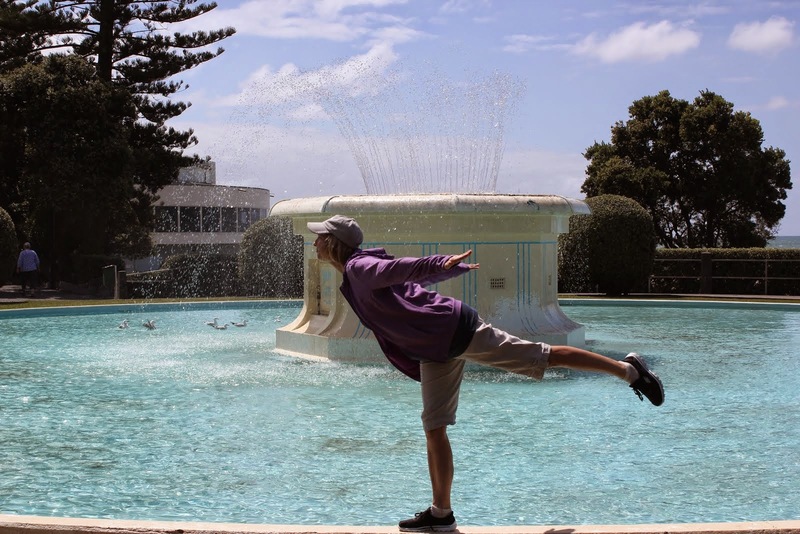 Act nonchalant, even while your heart is leaping for joy. Then, go home and have an intimate dinner with Joe's intestine who may need a little lovin'. "I am the ugly duckling of Joe's anatomy. Other organs behave with quiet modesty. Not me." Take a long soak in the tub as Joe's thigh bone looks on and lovingly but persistently reminds you to open that bottle of calcium tablets and start taking them on a daily basis. Did I mention parts of Jane are also included in this book? Have a small intimate gathering with Jane's womb and breast or make it a big bash and invite all the Glands of Internal Secretion too! Just watch the punchbowl! These guys may be little, but when they get carried away, there's big trouble. I love the pill box hat! Bossy Betty, you make me want to be funny. I am quite jealous of your ability to be substantial and comical all at once. Thanks for giving me yet another pleasant diversion from whatever constructive things I should be doing. (At least I emerge feeling edified and light-hearted.) I put an announcement about your blog in the Fall edition of PostSCWriP, coming soon. I remember reading the Reader digest series.... very enlightening. You are a kindred spirit. I truly loved this. And how did I miss the body part series. Oh, the gaps in my education. I loved Little House stories and Beverly Cleary! A bit jealous you were allowed to sip Kool-Aid though. We weren't... I did a blog on my fave childhood authors a while back. Don't you mean that other guy in the sunglasses commercial? I was just thinking about my weird obsession as a kid with reading every issue of Reader's Digest cover to cover. I can still remember quite a few of those Drama in Real Life stories. As for "I Am Joe's Body" I missed out on this, and might have to skip it as talking body parts sound a bit scary. My favorite parts of Reader's Digest were the little one-liners at the end of the stories. Sometimes I would read them and break into that hard laughter, complete with tears shooting out of my eyes. I now stay away from them at doctor's offices. Oh, and *loved* your last suggestion. We seem to be leaning toward Sebastian Finn if the bean is a he (I just assumed that was for a boy). But there's still time to change our minds. :+) The word verification below is "cousta." Reminds me of (Jacques) Cousteau being called by a lazy person. I loved your conversations with Joe's parts! How entertaining was that?! Very, I tell ya! Unfortunately, I didn't pick up my dad's love of reading (which probably explains my flat writing style), but I do remember those Reader's Digest condensed books, of which I'd partake once in awhile. I'll have to see if my mom has the Joe book and if she does, I'm gonna read it, dagnabbit! Love the Attica statement... LOL! 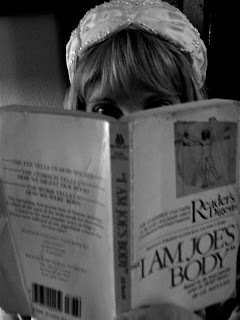 I need to find a copy of I am Joe's Body... wish I had thought of it.. Thanks so much for stopping by and deciding to follow A Tale of Two Cities. It's always great making new blogging friends. Reading your poem by John Keats made me wonder if you have seen the recent movie (now out on DVD) about his life and love for Fanny Brawne. It's called Bright Star--you might enjoy it!